In this third game for the Squeaky Clean Bar Soap Division, these Bar Soap teams lather up for what looks to be a clean game between two slippery opponents. It’s Victoria Lanolin-Agg-Tval Eggwhite Facial Care vs Kirk’s Original Coco Castile Soap for the title of Best Bar Soap For Sensitive Skin in the Lotion Challenge league. The Victoria Lanolin-Agg-Tval Eggwhite Facial Care team comes from the far east. They originated in Sweden in 1905, and have been making high quality product ever since. Victoria is a team of royalty as they provide products for the King of Sweden. 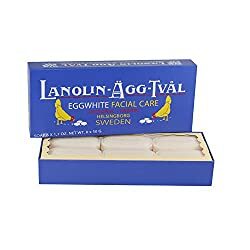 This Lanolin-Agg-Tval Eggwhite Facial Care team is the top product in the Victoria fleet. Women of Sweden are famously beautiful. This team is often used as a cleansing mask contains top players lanoline and rose water. These players work overtime cleansing your pores to give you an amazing complexion. Kirk’s Original Coco Castile Soap is a Chicago company with roots in Utica New York. Bought out by Proctor & Gamble in the late 1920’s, Kirk’s is backed by deep pockets and is built to last. The Squeaky Clean Bar Soap Division’s third game of the Lotion Challenge season should be a war of nations pitting Northern Europe’s best against a team with strong roots in the USA. Will the Victoria Facial Care be able to take on a much larger foe on the road? Or, will Kirks Castile Soap use it’s strong fan base and home field advantage to pummel its opponent into the ground? Victoria Facial Care’s team has variety. This may keep Kirk’s off balance as they try to defend this highly rated team. 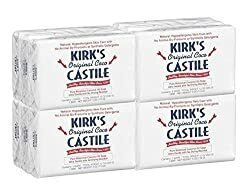 The Kirk’s Castile Soap team is small. But, is loaded with extremely high quality talent. But, the coaching for this team has been called into question after their loss in game 1? Kirk's Castile Soap wins the coin toss and will receive. 0 - 0 15:00 Victoria Facial Care kicks off. Here are the drive by drive details for this battle for the honor of holding the title Best Bar Soap For Sensitive Skin. Who are you rooting for as each player (ingredient) from each team takes a crack at scoring for this team (product)? Kirk’s Castile Soap calls Heads (of course) and wins the coin toss. They want the ball first as they hope to jump out to a quick start.